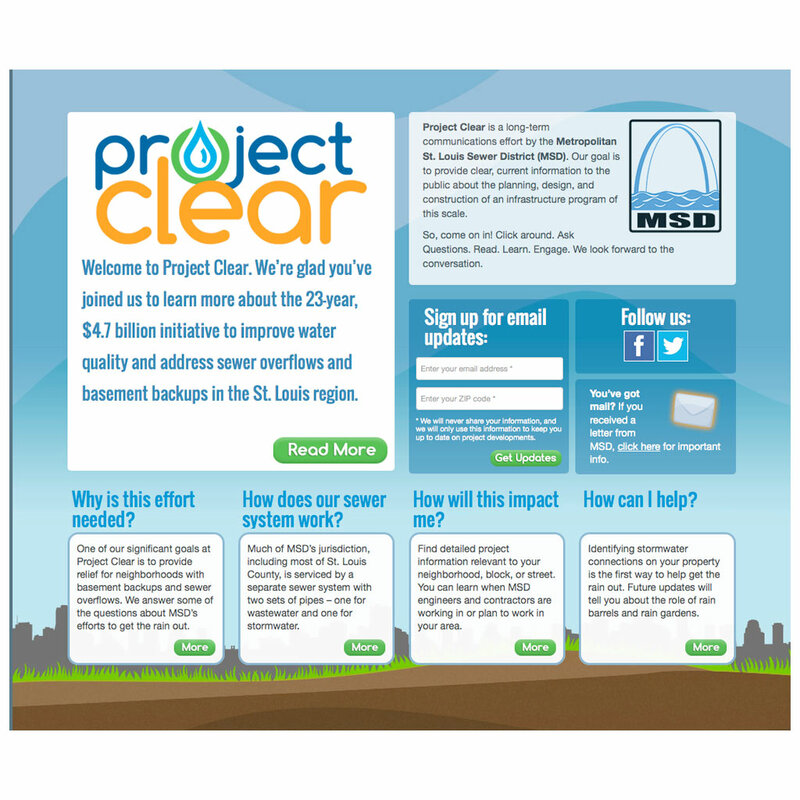 In 2012, the Metropolitan St. Louis Sewer District began a 23-year, $4.7 billion initiative to design and build system wide improvements to address water quality and alleviate many wastewater concerns. 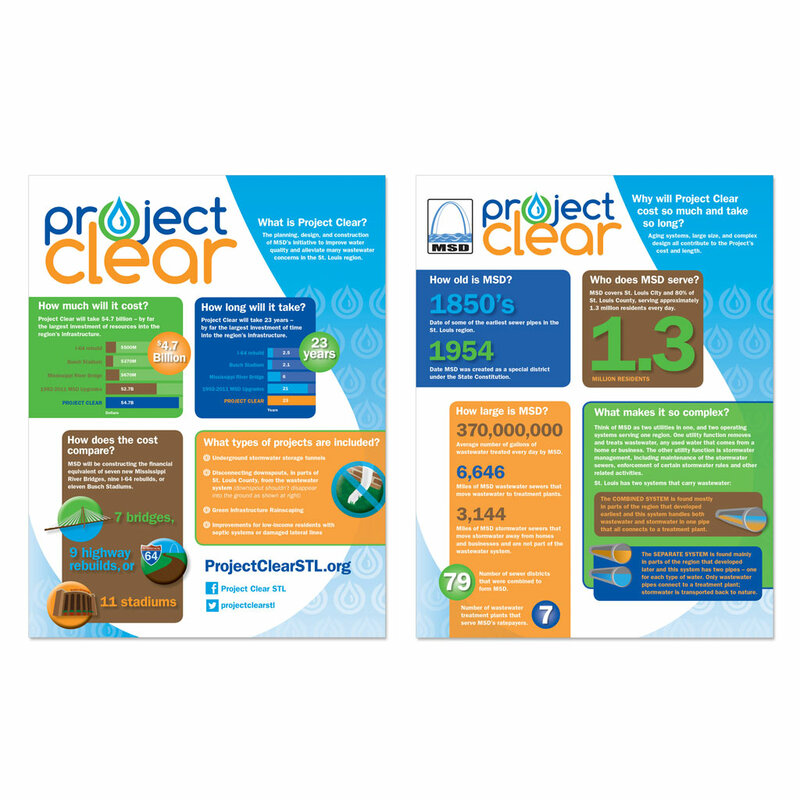 A project of this size needed a public engagement effort to match. 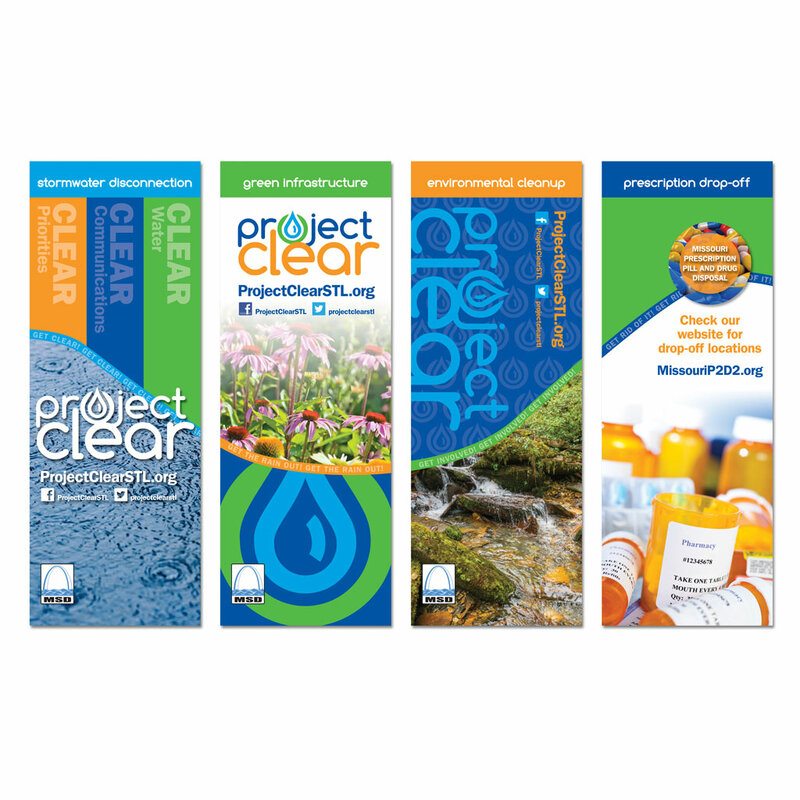 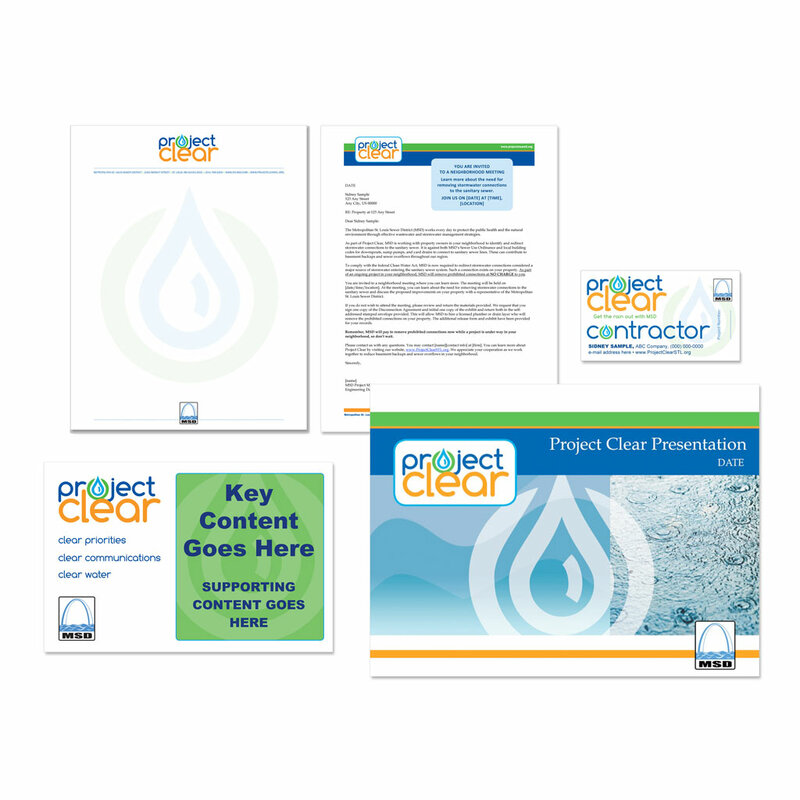 MSD Project Clear was born. 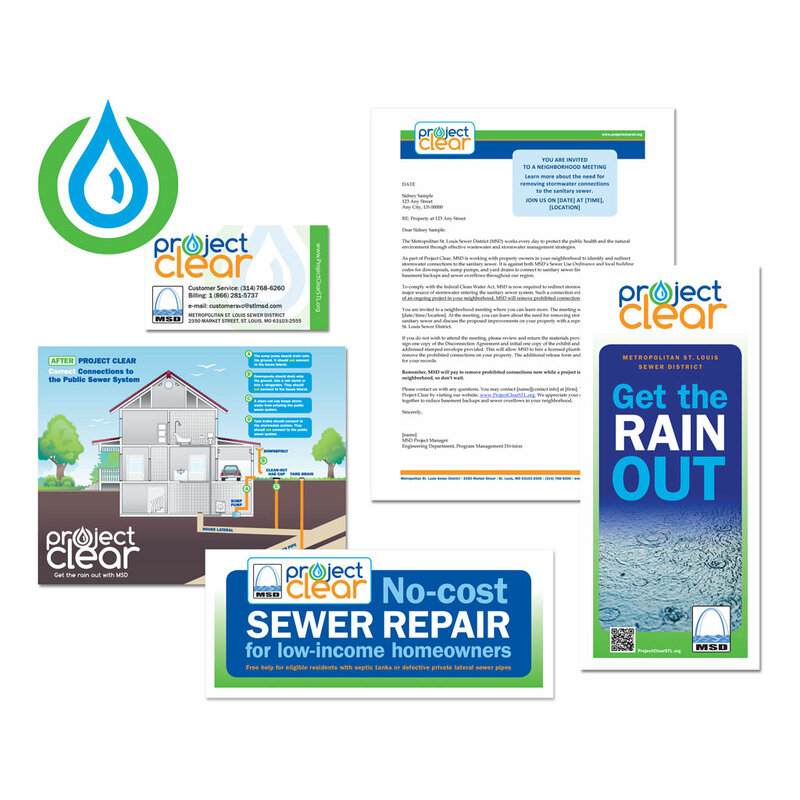 As part of a team with Standpoint Public Affairs, StratCommRx helped develop the name for the initiative, design the public involvement strategy, create the brand and graphics platform, determine the engagement strategies, and then implement. 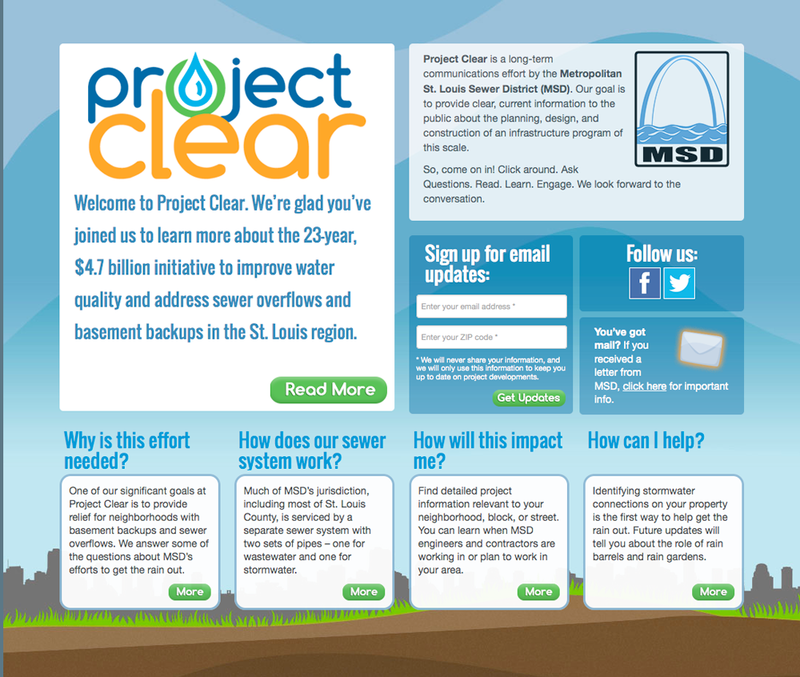 For more than four years, our efforts included weekly client meetings, tracking open projects, working with a variety of MSD staff and consultants, facilitating a region-wide stakeholder engagement committee, and creating yearly media analysis reports.